We all love to spoil our chickens with treats every now and then. Giving treats to your chickens helps to give their diet some variation. It also helps to keep them happy and laying eggs. 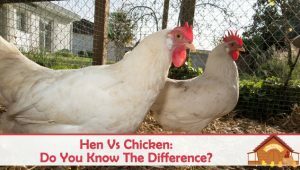 If you’re not careful buying treats for your chickens can cost lots of money, that’s why most of our treats are normally kitchen scraps and left overs… In fact, 75% of the cost of keeping chickens is made up of chicken feed. With that being said, I still love to spoil our chickens and they get more than their fair share of treats! 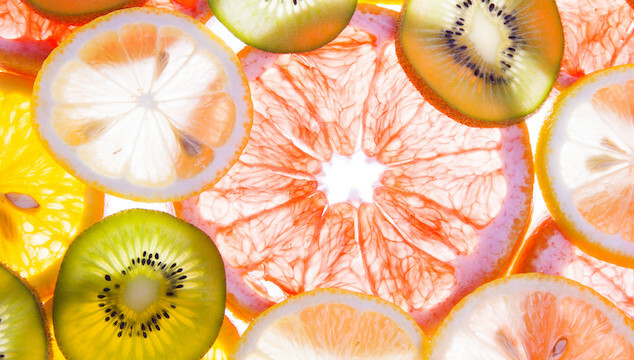 Let’s take a look at our girls’ top 9 favourite healthy treats. If you’re looking for even more treats, you can use this handy chicken treat chart. Oatmeal is one of our girls’ favourite treats and it’s probably their favourite treat during the cold winter months. Picture the scene: its 6:30am, pitch-black, and there is a thick frost on the ground. I let our girls out of their coop and straight away they can smell the oatmeal. I just pour the oatmeal straight out into their trough- I’ve found in the past they can bully each other if I just put the pan down because they can’t all get to it at once. 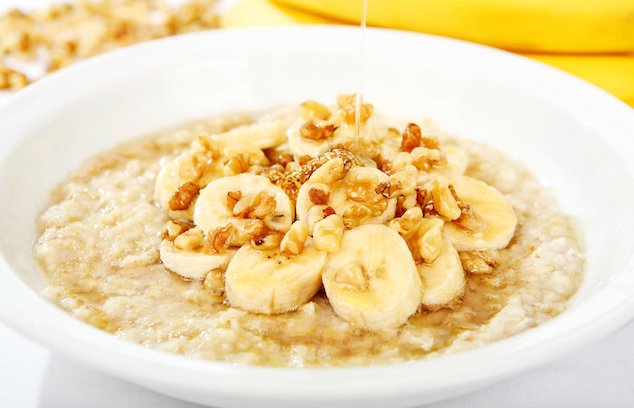 You can also add either maple syrup or bananas to the oatmeal to help give it some variety. There’s something about cottage cheese that our chickens just love. Maybe it’s the cheese taste or maybe it’s just the consistency? Either way, they love it! You can give your chickens cottage cheese straight out of the tub or you can mix it with vegetables. Both carrots and broccoli go really well with it. It provides your chickens with several essential nutrients such as calcium which helps keep their bones strong. It’s also a great source of protein as laying chickens need around 20 grams of protein a day to produce an egg. Have you ever seen free range chickens running around the garden with streams of pasta flowing out of their beak!? 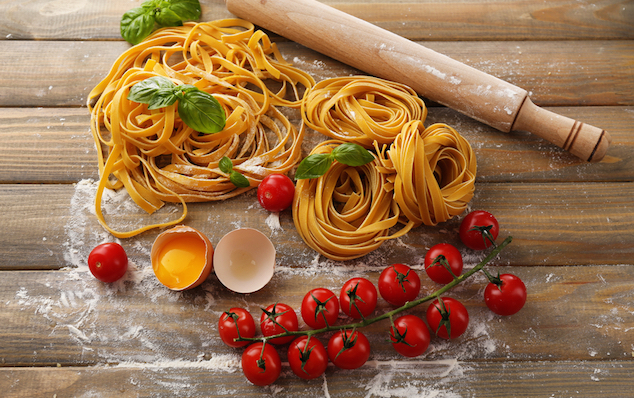 Cooked pasta can be a cheap but filling treat for your chickens. Two cups of pasta is more than enough for a flock of six chickens. Again, like with cottage cheese you can mix other food into the pasta. A nice creamy sauce or chopped up vegetables can go a long way to keeping your chickens happy. However, they will be perfectly happy with just dry pasta. Mealworms are without a doubt our chickens’ favourite treat of all time. 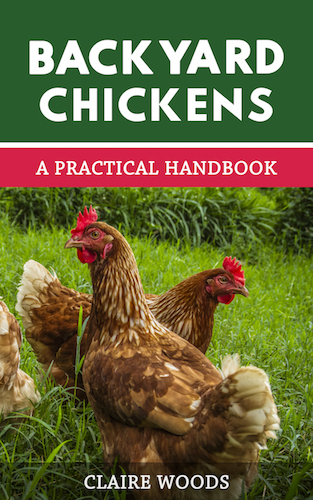 They are a very quick and easy treat to give your chickens and require no preparation. I just buy a 1lb bag of them and dump them into a pile inside our girls’ pen. It’s very entertaining to watch the chickens run back and forth with the mealworms in their mouth. You can normally buy them from your local fishing/tackle store but they can be quite expensive- $20USD for 1lb. If you give your chickens mealworms regularly it might be worth considering farming your own mealworms. You can either feed sweetcorn to them loose, mix it in with their pellets, or you can feed it to them straight from the cob. Here’s a great idea if you want to keep your girls busy. Buy several corn on the cobs and hang the cobs using some string. You can then let the girls peck away at them- this should keep them amused for several hours. 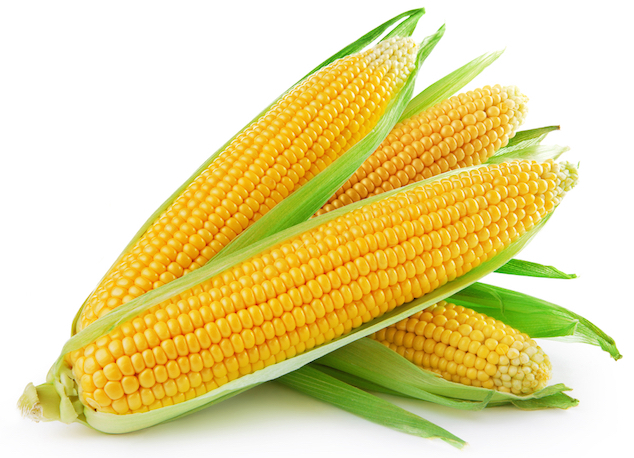 Not only is sweetcorn a cheap treat, it’s packed with lutein and zeaxanthin which are phytochemicals that help keep your chickens vision healthy. It will also provide your girls with some much needed fiber. 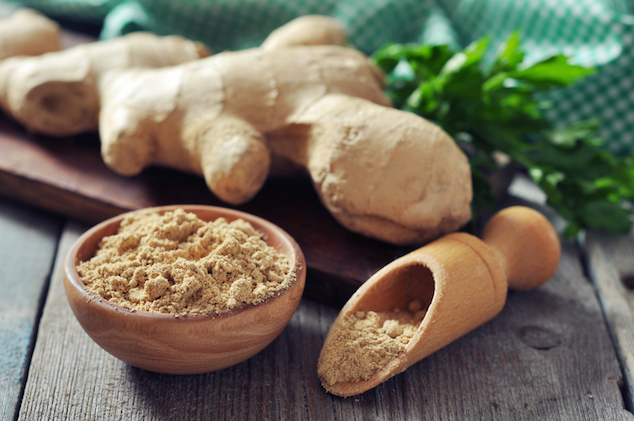 We’ve already written about the superfood ginger and some of the health benefits your chickens will experience when eating ginger. Certain studies claim that feeding chickens ginger can increase the size of the eggs and also improve the amount of antioxidants in the egg yolk. I tend to only use ginger when our chickens moult as it can help them grow back their feathers quicker. If you are going to feed your chickens ginger you can either mix ginger powder in with their pellets or you can mix it in with their water. However, make sure you only give your chickens ginger no more than once per month. Feeding your chickens too much ginger can cause muscle swelling and occasionally death. Watermelon is the perfect summer snack for chickens. 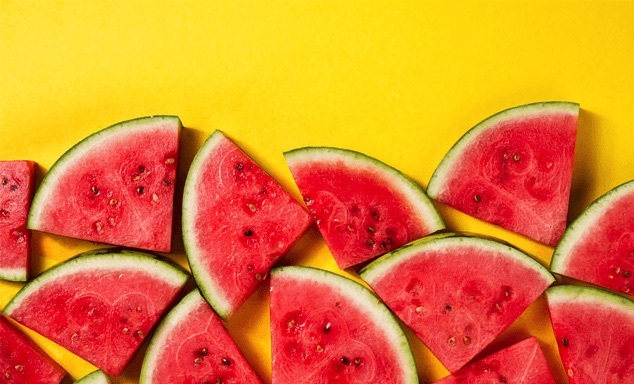 Not only is it full of water and extremely refreshing for them, it also contains lots of essential vitamins and minerals. I buy watermelon cheap when it’s in season and slice them up into small chunks. I then take the small chunks and freeze them. During a hot summers day I get the frozen chunks out and place them into the chickens’ water bowl. This helps keep the water cool and the chickens can also peck at the watermelon. You could also, mix the frozen watermelon in with plain greek yogurt. This helps spread the watermelon out and greek yogurt is also very refreshing for them. 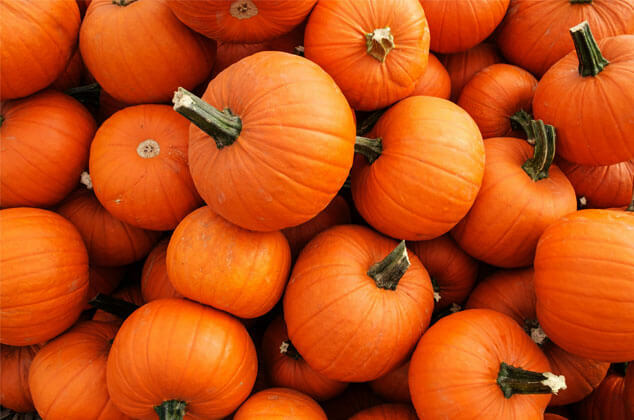 Pumpkins are another one of those refreshing treats with added health benefits. The seeds inside pumpkins help with worming. According to Delaware State University pumpkin seeds “contain a deworming compound called cucurbitacin which has been used to expel tapeworms”. Pumpkin can be very hard to cut, so I just put the pumpkin inside our chicken pen and then hit it with a mallet to break it open for the girls. Your girls will be entertained for hours as they merrily peck away. You will notice they will eat the pumpkin in its entirety- bar the skin. Another benefit I found was that their egg yolks turned vibrant orange for a few days after they’d eaten the pumpkin. Sometimes during the peak of summer, our girls can get carried away and lay too many eggs for us to cope with! I could store the eggs or freeze them to use later, but instead I prefer to cook several of them and make scrambled eggs for the girls. 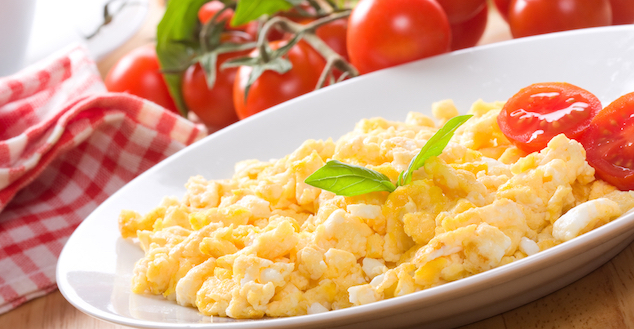 Scrambled egg is full of protein and can quickly fill your girl’s up. Note: Always make sure you cook any eggs which you feed your chickens. You DON’T want your chickens getting a taste for raw eggs because they will start eating their own eggs. One important point to make here is that you shouldn’t give your chickens too many treats as this can actually cause your chickens to stop laying eggs. Just make sure that their treats are part of a consistent and varied diet and your chickens will be fine. Let us know which treats your chickens love to snack on in the comments below! I hope your girls enjoy it! Thanks for the tips. I read all and put to our routine and it has really helped my girls. Taste of my eggs are like Bam!!! Taste so good make your cook happy and Homemade cakes yummy!!!!! Straight from the Barn and Richest Farmer. Don’t sell our girls and is not an advertisement. We love our pets!!!!! Man’s best friend!!!!!! Thanks for the tips! I never knew about ginger. My chickens like ants and meal worms. The hens catch them on their own in the yard, it keeps me entertained. How often do you give your chickens treats? we usually have scraps of veggies and fruits from our meals (ends of cucumbers and carrots… outer leaves on a head of lettuce, and other various veggies/ fruit scraps). I wasn’t sure how often it was ok to give them these along with some of the other treats listed above. It tends to be at least once a day! Yes this is perfect for the girls, they will love it. You can give them this sort of thing each day, just place it down on the floor for them to peck at. Hi, I have 2 hen chickens (Hybred Rhode Island Red) from hatchlings which are now 10 wks old, I started them off with the crumb mixture until they were 7wks old then switched to grower pellets as they are getting big. unfortunately they don’t seem to like it, and will only eat a very small amount. I let them free range for most of the day and I do give them a couple of handful of live mealworms in late afternoon and they eat them so quickly, it’s like they are starving. (Now I’ve just read on line that I shouldn’t let them eat them on regular basis as it could cause them harm) but I worry they are not getting enough food. They will not eat any other food ie veg, fruit, scraps and pasta etc which they are supposed to like. I’m running out of ideas what to give them. Also in the coop they sleep in the nest box instead of the perch, is that normal? Any advice will be greatly appreciated. Thank you. With the grower pellets have you tried crushing them up into smaller pieces? If you started them with crumble then I would stick with grown crumble as well. Sometimes its hard for them to go from crumble to pellets. I had the same problem when my hens free ranged. They barely ate their feed, wouldn’t touch scraps. They got everything they needed free ranging so don’t worry ? Broccoli – hang a piece on a string. Good exercise for the ladies and often hilariously funny to watch! I give my girls kale and other greens from the garden. They love the greens so much that they come running whenever I come outside. Oh I haven’t tried my girls with Kale! Do you cook it first or just give it to them raw? OH yes my girls love our kale from the garden! Salmon!!! Our girls have quite the variety of snacks… But one evening eating dinner outside they came up to me very interested in what was on my plate- gave them a little bit (made sure there was zero bones) gone instantly! We’ve got 8- 2 of each RIR, Wellsummer, Deleware and Americana! They all enjoy it equally! So much so we have a call into the fish departmebt if our local store for day end sale salmon- I’d rather buy it for 80% + off than have them toss it (legally they have too) I cook it up and the girls are set! Friends that go salmon fishing keep the scrap pieces for us as well! Who would’ve thought?! Haha! Thank you for sharing this Tera! My 3 hens absolutely love cucumbers. Especially the seeds. I grew three plants this summer and had more cucumbers than I could use/giveaway. I started feeding them the cucumbers and they went crazy over the seeds. Sometimes a cucumber will get lost in the leaves and end up becoming monstrous, LOL. Those ones are especially great to give to my girls, as the seeds are bigger and more plentiful. 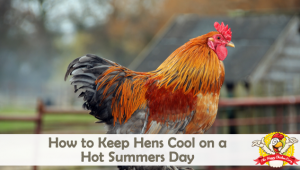 It is such a nice treat for them as they are chilled in the refrigerator so it cools them off in the summer heat, and I can tell that it really helps with their digestion. Not to be gross, but their poops just look healthier now. Every morning my 3 year old has to go in the fridge to get treats for her hens. She’ll pick out the fruits and veggies she thinks they will like for that day. So far cherries and corn on the cob are the definite favorites!! My six hens love light bread. My girls LOVE worms from my compost! I don’t know if worms are OK but they sure love them! When they see me they run over to the compost bin and just wait . What age can you start giving them treats? We just got 5 baby chicks and this will be my first time raising chickens! I am so excited to be getting fresh eggs and just the experience of raising such a beautiful animal. I am trying to do everything right, as I don’t want to harm or lose any of them. Any tips or advice would be greatly appreciated for this first time “mother hen”! First of all, good luck on your chicken journey! I haven’t tried our girls with spaghetti squash before- I’m sure they will think it’s mealworms! My girls love love love tomatoes! This is their absolute favorite treat. And crackers! When the pack of crackers gets left open and they are a little stale my girls devour them. Do you actually cook the oatmeal or do you feed it dry? I serve it to them warm Michelle! My girls love uncooked old fashioned rolled oats. They also love cooked oatmeal with fruit and nuts that is still warm. My girls have been willing to try everything I’ve ever given them. We nearly collapsed the other day, witnessing one of our hens, taking over from the cat and swallowing a pygmy shrew….. who knew! I just got a chicken but it’s not laying eggs like my family wants… I hope these suggestions work!!! Should I use a particular type of string when stringing the treats? I don’t want them ingesting something bad. Cottage cheese is fine, just make sure to avoid the high salt versions. I have 2 RIR, 1 Buff, and 1 bantam Millie Fleur (I think that is what she is). The reds are “partners” and the other girls are “partners” too. I’m excited that our ordinance has changed and now will allow us to have 6 chickens so we will be adding to the family in the spring. The buff has gone through one molt and now is back to laying and funny that her “partner” the bantam started laying again just after she did. I often juice and will give them pulp from many fruits and veggies, avoiding anything stringy like celery. They love it! We recently moved and our fence is in need of repair and we can’t pour concrete with the cold so they are staying in their 8 x 8 run mostly, so I am looking for any suggestions for keeping them entertained and the corn on the cob sounds great. For the corn on the cob, do you cook the corn or just give it to them raw? This is great advice I’ve been looking for! Thanks! 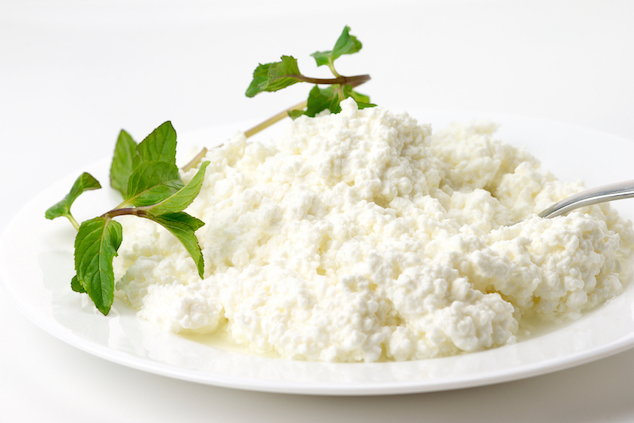 Since chickens lack the enzyme to properly digest lactose, how much cottage cheese is too much? I prefer baked, crushed egg shell or oyster shell for supplemental calcium. I’m with you on the egg shells- great for calcium! My chickens love sweet potato skins, carrot peels and greens, spinach, kale, cabbage anything green. My chickens love most of the things already mentioned (especially pasta and scrambled eggs). I will just add that they also love blueberries. I will toss them out one by one and watch the girls run after them. It is a race to see who gets to each one first. very entertaining. I have given my girls raw oats and raw corn on the cob. I was interested to read that you cook them, Claire. I will try this next time. They probably would like the corn and oatmeal better cooked. Also, when I need to get them back in their run, I come out with a bag of shredded cheese. They come running. They love it. Thank you for all the information you laid in this forum! Very helpful for a beginner like myself. I just became a chicken mom. I have 8, 2 each wyndottes, murans, freverolles, and Ameracanas. They get some kind if treat everyday. They get salad days, which includes frozen vegies ( corn, peas, beans, carrot) then I add chopped broccoli, cauliflower, lettus, red cabbage, and carrots. They love it. Then 2 days they get cooked oatmeal with chopped up strawberries, blueberries, Greek yogurt, and cinnamon. 2 days they get meal worms. Then day 7 whatever comes out of the fridge. They still eat all their regular food. They are not spoiled at all, as my husband rolls his eyes. They have their own herb garden, and flower garden, and once my garden takes off they will have tons of other things to choose from. Deborah, can I come live with your chickens ? Yummy ! Mine love grapes too! They will climb in my lap to get them! Our chickens could care less when I give them freeze-dried mealworms, but throw in a couple of handful of popped popcorn (minus salt and butter, of course) and they go crazy! Boil veggie skins until soft, let them cool and squeeze through your fingers to form a mash, keeps em going on cold winter days, you can add some meal to them as well. I have 5, 3 wk old chicks, a legbar, an easter egger, a blue splash maran, and 2 d’uccles. they go crazy over a little string cheese or a smear of Greek yogurt!!! So darn cute! Any ideas for other baby chick safe snacks? I’ve 3 RIRs, they’ve warm porridge for breakfast, mashed potato & veg for dinner, always pellets there, but they will do absolutely anything for sweet corn, they jump through hoops, follow me up and down the garden, they even jump into my arms, and run in and out through my legs all at the same time, put on music and call them the dancing chickens ? it’s hilarious ? My chickens and ducks love a mix of sprouted oats,corn,wheat and lentils. What doesn’t sprout ferments by day 3. I top them with a mix of kelp, probiotics, brewers yeast,garlic and DE. In the winter I add meal worms and minced greens. ACV in the water to keep them healthy. Is there anything else I should consider for a healthy treat? We are learning more and more the longer we have our hens. We have an assortment – Wyndottes, Americanas, Orpingtons, a Plymouth Rock, Rhode Island Reds and a couple Bantams. They receive pretty much all our scraps daily. Some of their favorite though are the bell pepper cut out with all the seeds. Lettuces and spinach are always a good one as well. It’s interesting we never really thought of our hens as carnivores even though they love for us to move troughs, buckets, etc so they can scavenge for the bugs. However one time we threw out a large ham bone and they attacked it like piranhas and in just a bit it was clean. We see them also hunt down the mice so don’t really need a barn cat… We learn more and more as we watch these gals! Hello my name is Nanci and I decided to raise chickens. I’ll be chicken mom very soon. Where I live there’s some stipulations to have chickens but most of all I live in Alaska and I know that I’ll need to take a good care of them specially on the winter time. I’m reading and trying to know everything before I start to be a chicken mom. I love all the tips and suggestions here but can anyone have any suggestion about how can I take care of them on winter time ? And can the chickens be free to walk on the snow or better not ? And I love eggs from chickens not from store I’ve being buying chickens eggs for long time and I noticed that blue eggs are the most kind of flavorful eggs I just love it. Does anyone knows what kind of chicken lays blue eggs ? Thank you so much for all the information everyone give here in this site ! Everyone have a blessed and good day !!!! My chooks will be so happy I read all your comments! It’s winter now here in Australia and they’re feeling a bit blue but that will change now they’re going to get warm porridge, cooked spag and a nice big head of broccoli. chickens are very social, you definitely want to get her a buddy or two. I hope she’s doing well! I have 3 hens about 5-6 months now, I never knew I could feed them treats however tonight I shared with them a peach and you’d think I gave them a juicy steak! and as far as being chickens being affection -omgoodness ?I was consistent, calm total love and sweet words, they are the most unusual breed of feathers & love ?I’ve ever experienced. They run to me and squat so that I pick them em up, she’ll rest her head on my shoulder and love to hold my hand with Her claws while I’ll hold her. So much love To share, & so little time? Hello all! I am a new chicken MOmma in Minnesota. Have two hens currently on molt and not laying. How long will the molt last? As for treats what can I NOT feed my hens? I had no idea of all the treats they enjoy and have really loved to read about this. oatmeal and greek yogurt. I wish they would eat greens. My hens love apples. I fed them a bit of chopped pink pearl apple (which actually has red flesh, oddly enough) and it’s a new favorite. Just don’t feed them the seeds because those are deadly. Also, beets and beet greens are a hit with my girls. After they eat beets, their beaks turn purple for several days! Lol! I love that most of the treats I feed our hens are on your list. I was horrified to learn that they especially love catching baby mice. I am always looking for new treats. Their favourites would have to be sardines and tuna. I hang a watermelon for them to peck at and I put raw muesli in a hanging container with holes that they must manipulate to eat. These hens live at a school, mostly in a large pen so I’m always looking for ideas on how to keep them amused and happy.